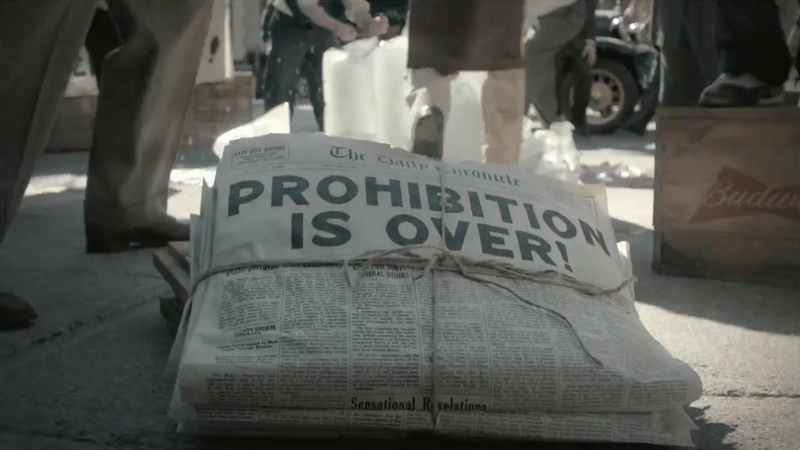 Budweiser‘s 2012 Super Bowl commercial “Eternal Optimism”, takes us through the celebrations of the ages in the USA from the end of the prohibition in the 1930s, the end of World War II, the 1950s, landing on the moon in 1969, breakdancing in the 1980s, crowd surfing in the 1990s and a hipster DJ party in the 2000s. The message lies at the end: “Great times are always waiting. Grab some Buds”. The Eternal Optimism ad was developed at Anomaly, New York, by creative director Mike Byrne, creatives Dan Kenneally and Adam Kanzer, and agency producer Jennifer Mastrorilli. Filming was shot by director Fredrik Bond via MJZ, with producer Betsy Oliver and executive producer Kate Leahy. Editor was Tim Thornton-Allan at Union Editorial with assistant editor Nellie Phillips. Post production and visual effects were produced at The Mill, New York, by executive producer Jo Arghiris, VFX producer Zu Al Kadiri, shoot supervisor Adrian Hurley, 2D lead artists Corey Brown, 2D artists Albert Cook, Caio Sorrentino, assist team Patrick Mahoney, Randy Krueger, colorist Damien Van Der Cruyssen.